Da Capo Lifelong Books, 9780738210490, 528pp. 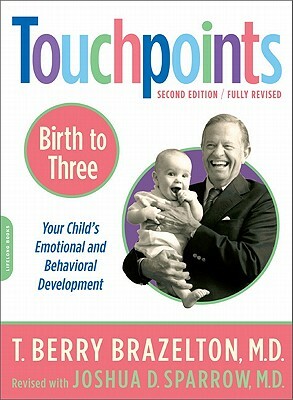 The late T. Berry Brazelton, M.D., founder of the Child Development Unit at Children's Hospital Boston, was Clinical Professor of Pediatrics Emeritus at Harvard Medical School and Professor of Pediatrics and Human Development at Brown University. He was a famed advocate for children, and his many other internationally acclaimed books for parents include To Listen to a Child, Infants and Mothers, and, with Stanley I. Greenspan, M.D., The Irreducible Needs of Children. Joshua D. Sparrow, M.D child psychiatrist and supervisor of inpatient psychiatry at Children's Hospital Boston, is Assistant Professor of Psychiatry at Harvard Medical School, and Associate Director of Training at the Brazelton Touchpoints Center. He is co-author with Dr. Brazelton of Touchpoints Three to Six and several titles in the Brazelton Way series. "Should be required reading for any prospective parents or child daycare providers." "A book like this reminds us that each child is an individual and not just a symptom, disorder, or disease."